Elizabeth Minnich is senior scholar for the Association of American Colleges & Universities and professor of moral philosophy at Queens College. In this lecture she will discuss themes in her recent, critically acclaimed book, The Evil of Banality: On the Life and Death Importance of Thinking. In this work, Minnich confronts the causes of such evils as genocide and deadly economic exploitation, elaborating on the work of her teacher Hannah Arendt to argue that the necessary condition of evildoing is thoughtlessness. Minnich's work functions as an incisive treatment of the nature of evil, an inspiring account of goodness, and a clarion call for the importance of thinking well. 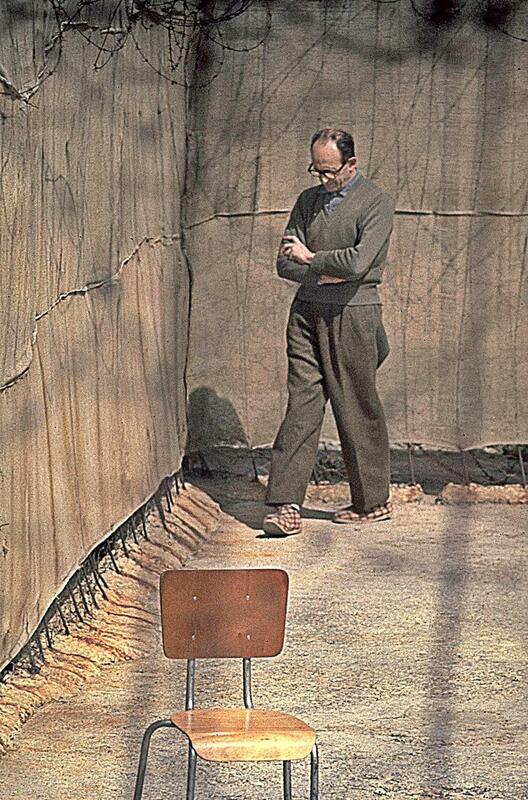 Adolf Eichmann, imprisioned Nazi party leader, Ramla Prison, Israel, 1961.